The inhabitants of Vranjic, and others passing by their peninsula, are delighted that a real aquarium has appeared in their once favourite gathering place in Grgic House where they once used to play bingo and hold dances. It is the biggest aquarium in Croatia. The Vranjic aquarium is next to the sea near the school, on the ground floor of the house, and covers a surface of about 800 square metres of which half is open space. 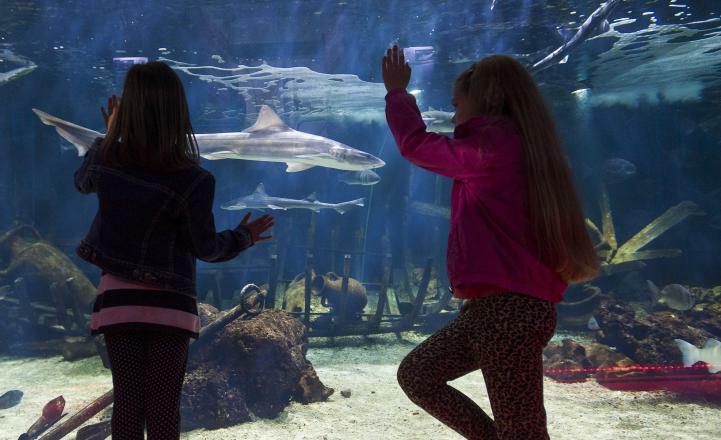 Up to now they have 100 different fish species from the Adriatic, and the most attractive of all is the shark, for children are always asking for it due to numerous films. There are about 15 sharks, the species is “deaf”, that is how they call it. Two are one and a half metres long, and the rest are smaller. They were the greatest problem for it is not easy to catch a shark. 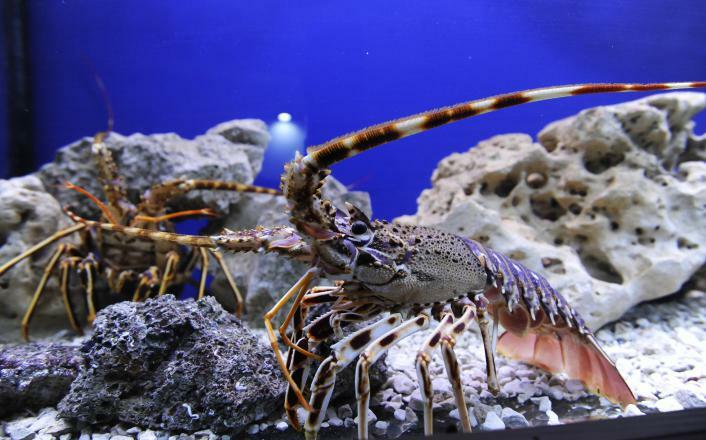 Many sea inhabitants can be seen in the Vranjic Aquarium from moray, ray, lobster, tortoise, grouper, common sea bream, and numerous other fish that can still be caught even in the Vranjic aquarium such as gilthead. In one little corner there is a small aquarium with Brazilian crocodiles that have arrived from the Netherlands, just to make it more interesting. Besides fish, the aquarium exhibits many objects connected to the sea and seafaring that owner has collected, such as a 50-year-old diving suit used to catch fish, and old petroleum lantern used to catch fish by lamplight… Next to the Vranjic aquarium, there is an appropriate souvenir shop and the outdoor swimming pool has facilities for children so they can practice catching fish on the hook. If you are in Vranjic, don’t miss the opportunity to visit this unique place. Residents of Adriatic sea wait for you behind the glass, and as always, you are invited to upload your photos and videos of Croatian experiences to our Facebook Wall.